Any ham radio operator can use amateur radio satellites to communicate with other hams. There are lots of amateur radio satellites in orbit that pass over the United States every day. Look at the picture below of the amateur radio satellites that will be radio visible over Austin, TX in the three hours after I wrote this post. 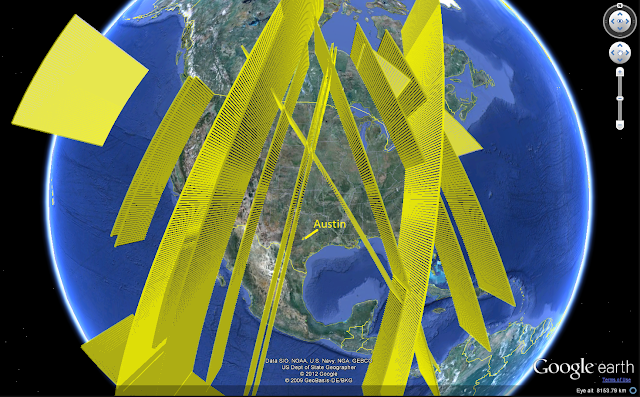 Each yellow 'wall' is the path of a satellite. The height of each wall indicates the altitude of the satellite. Besides the fact that it's just cool to use satellites, why would you want to use a satellite to communicate? The small handheld radios used by hams operate at high frequencies in the range of 100 to 1000 or so MHz, (your FM radio listens to signals around 90 MHz). At these frequencies, the radio waves move mostly in straight lines and don't bounce off the atmosphere. So, if you want to talk to your buddy who lives over the horizon, you're out of luck, unless your antenna happens to be located in space! You can make a line of sight contact to the satellite overhead, because it's so much higher than you are, the satellite can 'see' other radio stations that are behind your horizon and re-transmit your signal to them. 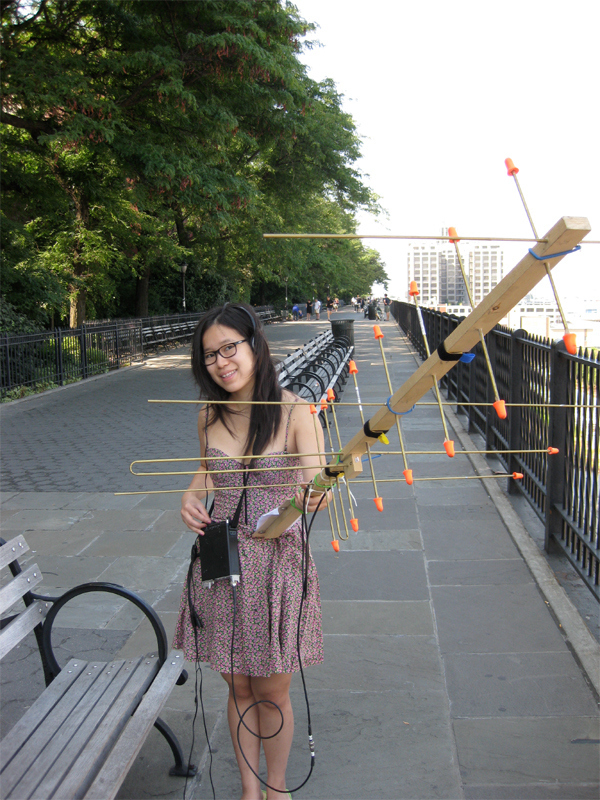 Here's a far more complete article about amateur radio satellites written by Diana Eng, Project Runway contestant, fashion designer, and ham radio operator.